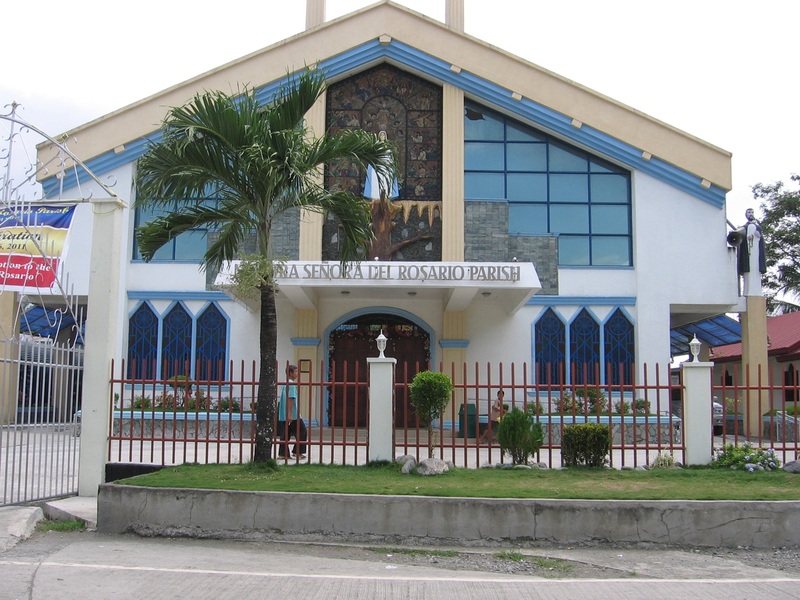 Anticipating the 4-day weekend this August, we already planned to visit Magallanes weeks ago. A friend, who lives there, is also celebrating her birthday so we decided that on August 27, we will be there and she will be our tour guide. 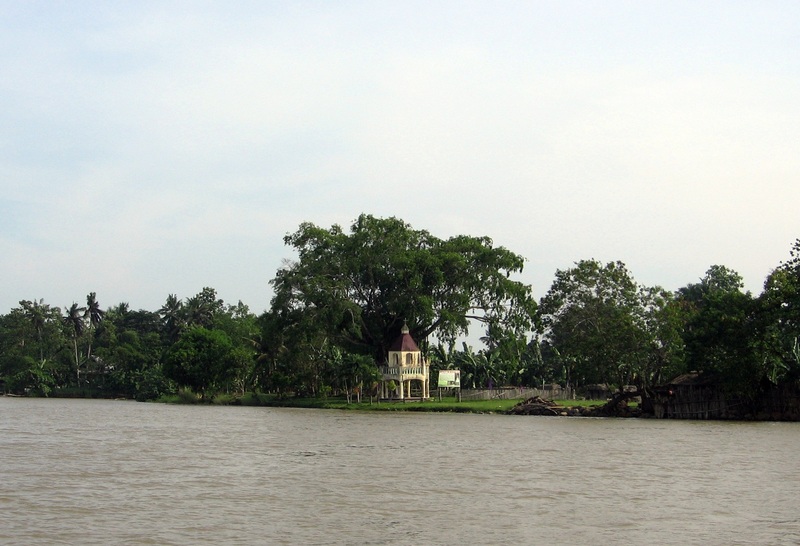 Magallanes is a municipality in Agusan del Norte. If you check out the map, the place can be reached (from Butuan) in two ways: boat ride and a land trip. We choose to ride the boat. Around 7AM on August 27, my cousin and I went to the Butuan Ferry Terminal at the PPA compound for our trip to Magallanes. The weather was good despite the fact that somewhere north of the country typhoon Mina is ravaging the area. The night before, my aunt warned us about the rain. Aunt: PAGASA said there will be non-stop rains all over the country. It was really raining hard this afternoon. Those who want to travel won’t enjoy the weather. Me: Is it raining now? 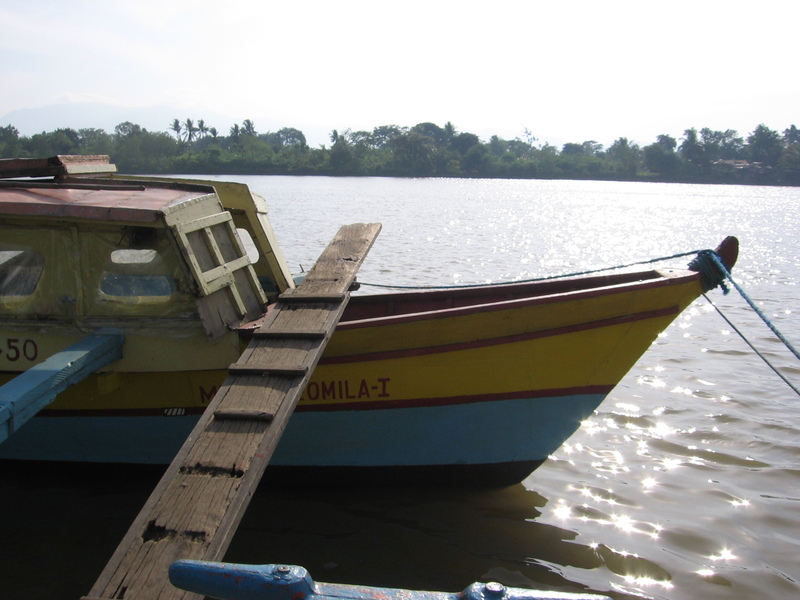 When we arrived at the terminal, a boat was already docked and ready for passengers. When I saw the plank, I doubted my ability to balance my weight on that strip of wood. Failure was not an option because I do not know how to swim. I let my cousin walk ahead of me while I gathered courage to take a step. 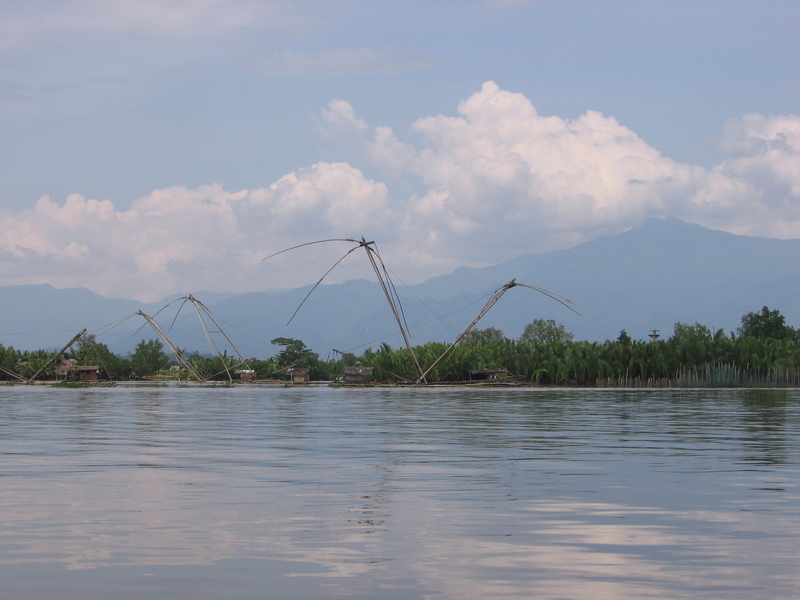 The boatman saw my predicament. He helped me cross that plank. This was not my first boat ride to Magallanes. I spent 7 years of my childhood in that town. 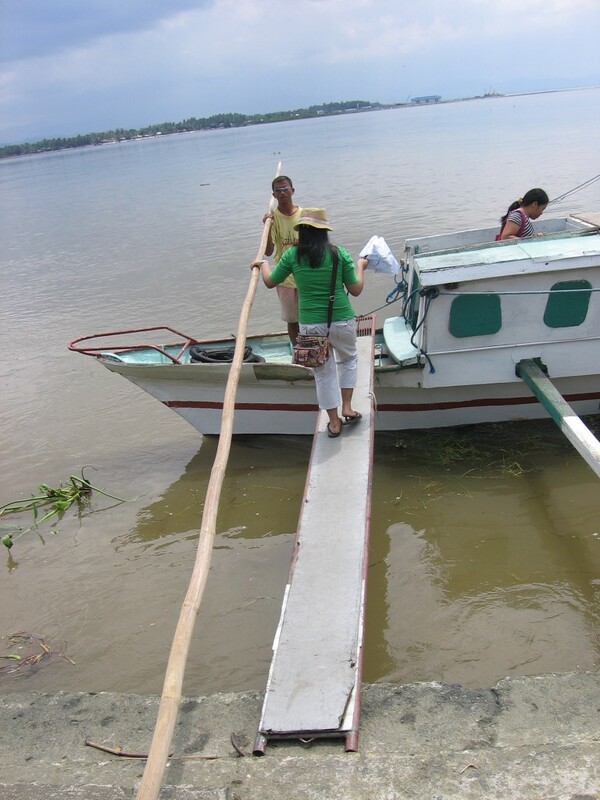 When I went to a kindergarten school in Butuan, Mama and I would shuttle from Magallanes to Butuan in this kind of boat. I was kind of revisiting my childhood in this trip. It took around 35-45 minutes to reach Magallanes but it felt like a shorter trip because there were so many things I found amusing. This is a nice area. I wonder how to reach this place by land. Is this a private property? 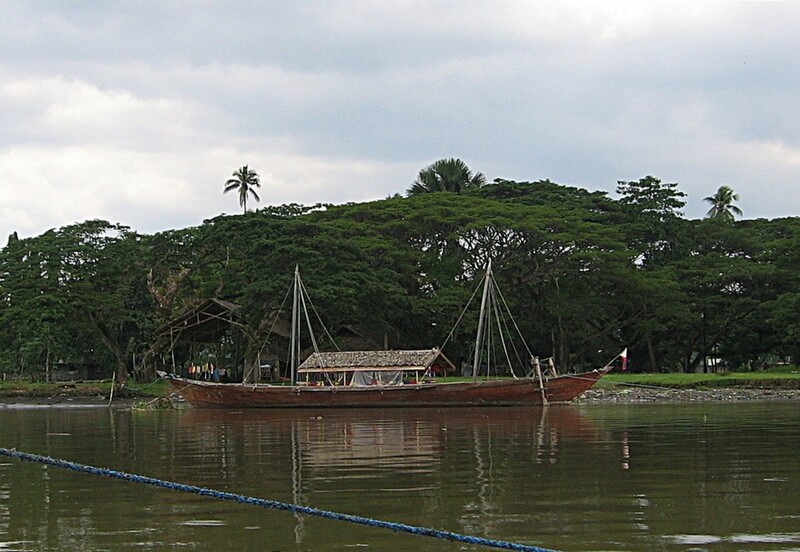 Here’s the balangay docked at the Luna Compound in Bading, Butuan City. 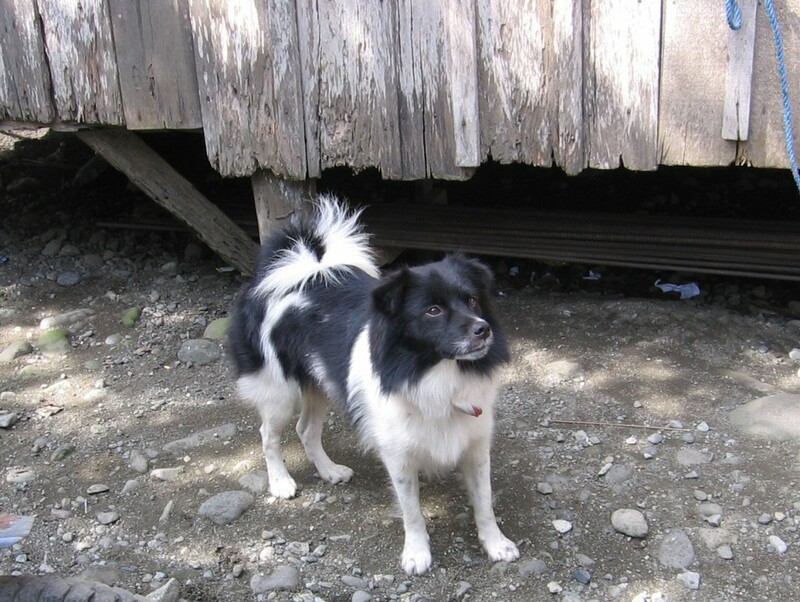 When reached the port of Magallanes, we waited for our friend. There were benches in the port area and wind blew gently so it was a pleasant wait. It took some time before she arrived. She did not believe us when we told her we were coming. We called her the night before and thought we were just kidding. We went to her place to eat breakfast. We brought Spam, corned beef, eggs, bread and brownies. On our way, we passed by the municipal building. I spent Grade 1 and Grade 2 here. From the gate, I can see my Grade two classroom. We dropped by the church to say a little prayer. After all, it was my friend’s birthday. 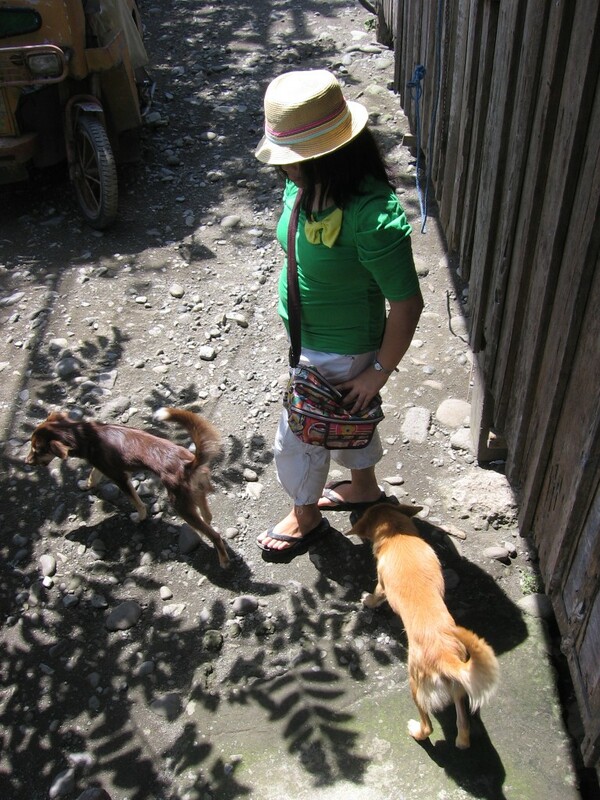 When we reached her place, we were met by her dogs. Breakfast was yummy. It was already past 9AM. We were a little hungry so anything edible would be yummy for me. With spam, eggs, corned beef, brownies, bread and coke for breakfast, that was heaven! The next stop of the day was to visit the Centennial tree. I hope the marker will be replaced. I cannot read some of the text written. 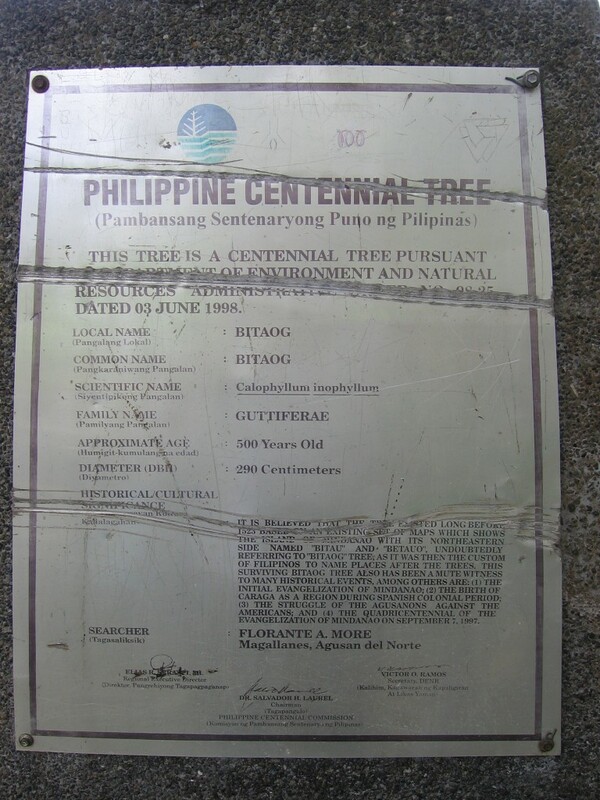 This is the Philippine Centennial Tree. 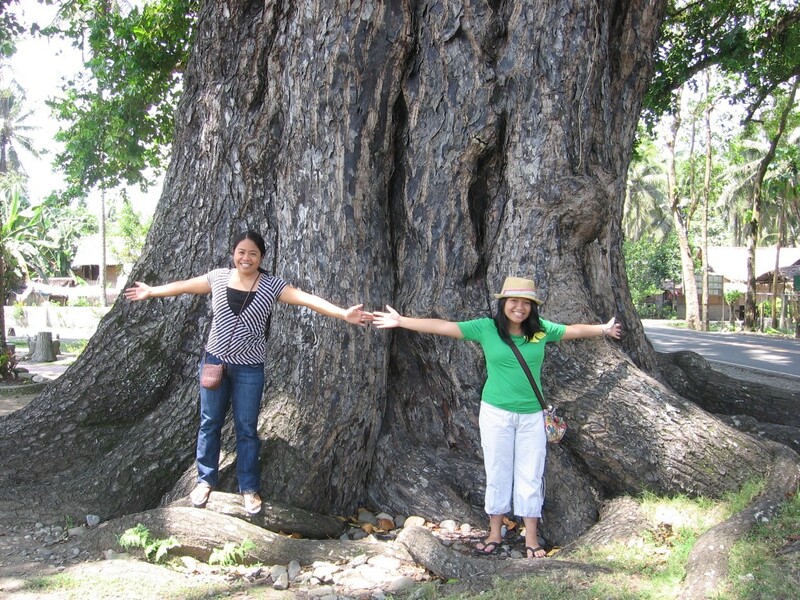 In the 1998 Philippine Centennial Celebration, there was a search to find the oldest tree in the country and this came out the oldest. 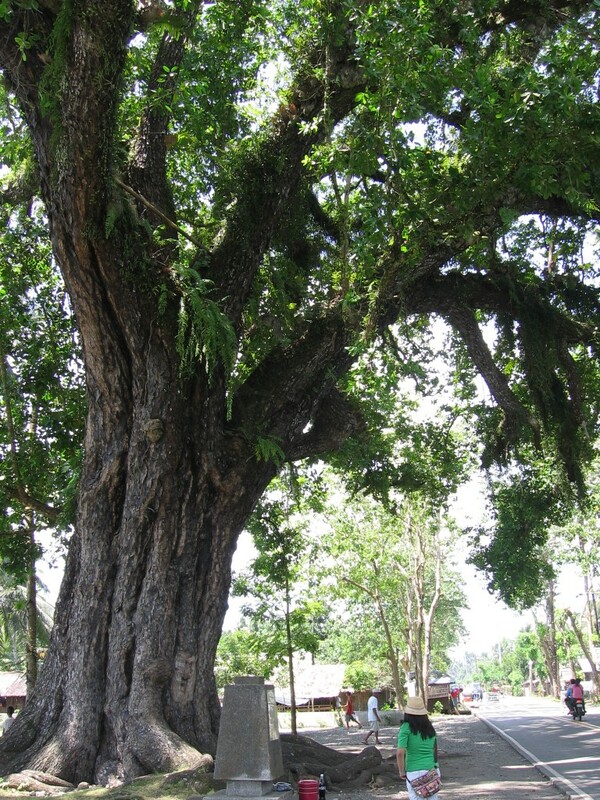 The 500-year-old tree is called Bitaog. 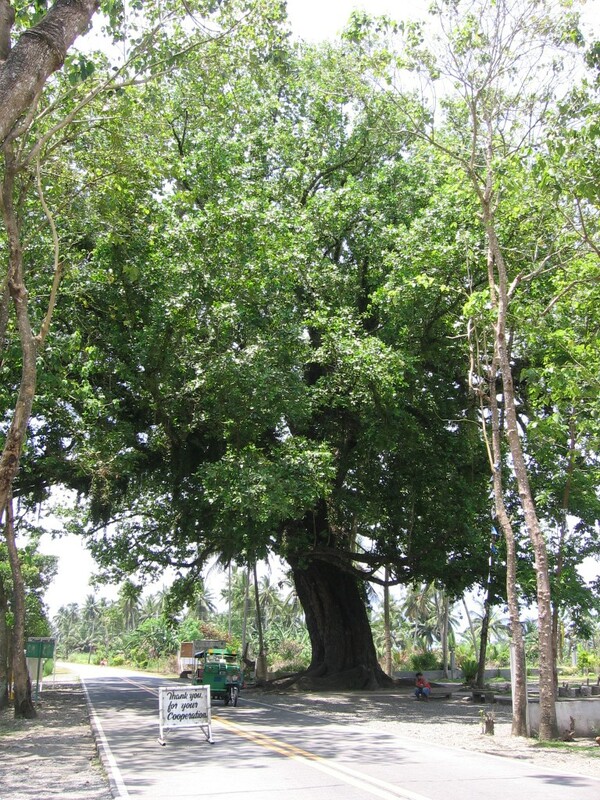 The tree is so large that its branches canopied over the road. The trunk is so wide. 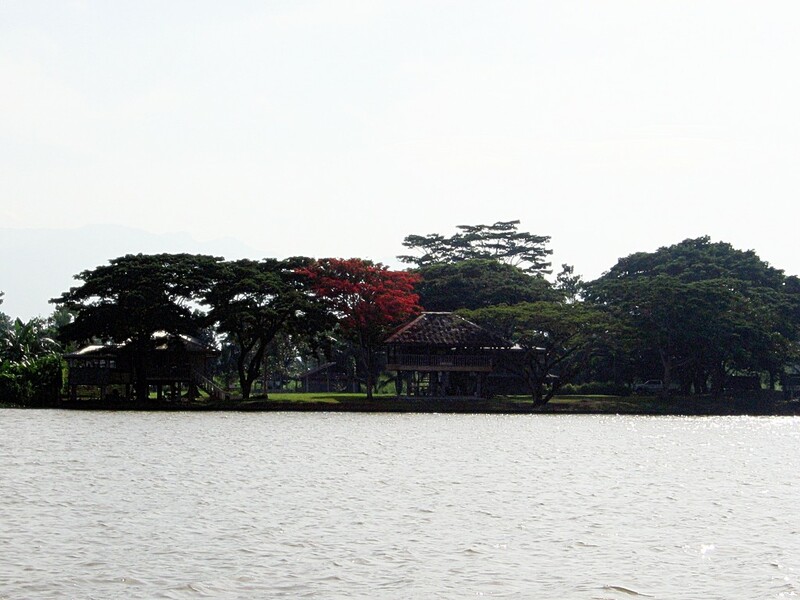 To take a photograph of the whole tree, one has to walk several meters away to make it fit into the camera’s frame. We already brought some meat to grill for our lunch. 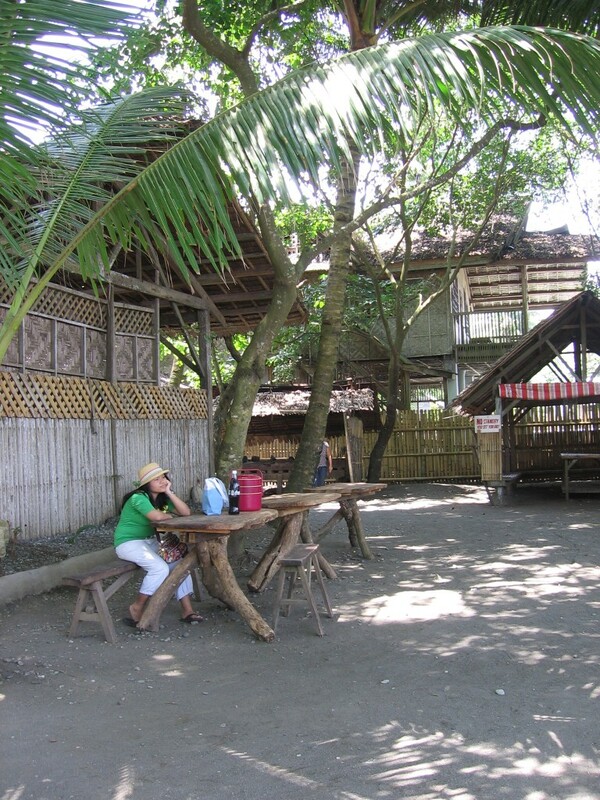 We only have to find a beach area where we can enjoy our humble meal. 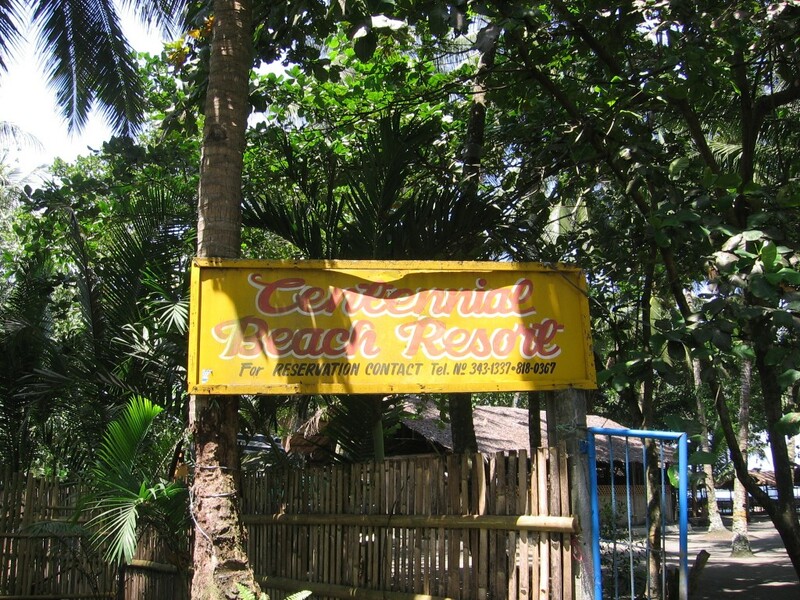 Across the bitaog tree is a resort aptly name: Centennial Beach Resort. 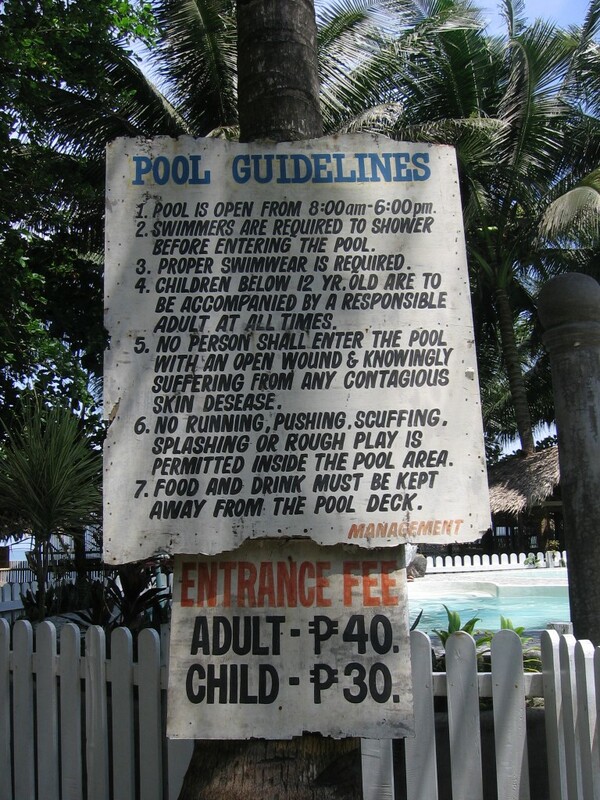 They got a small pool area which we will try next time. We did not bring extra clothes. 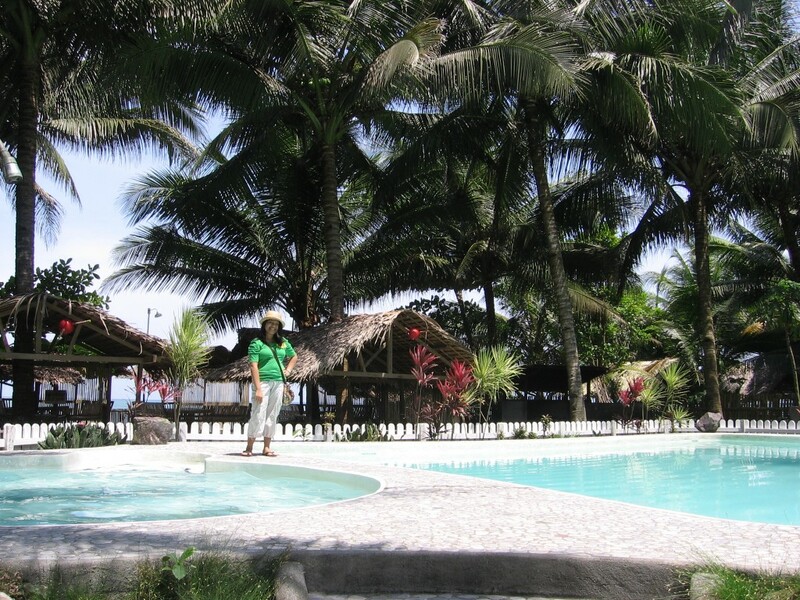 There are cottages for rent for large groups. 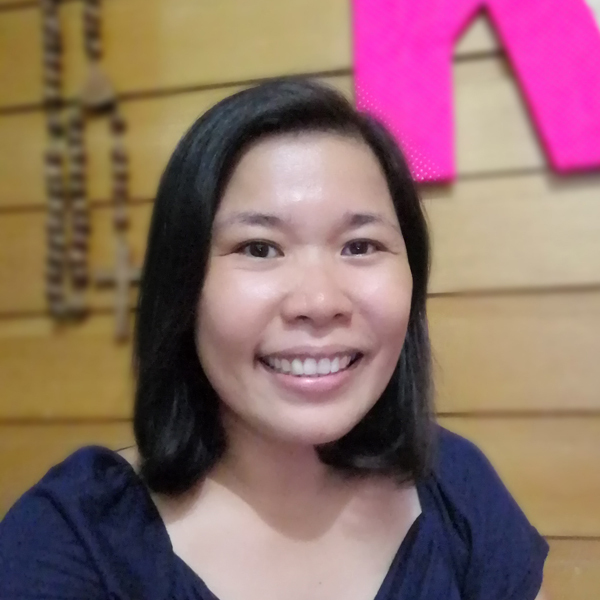 Rates ranged from P150 to P250. For simple folks like us who only need a table, there is a P50 table for rent. The area is shady and cool. It is also near the grill area so we really like the location. 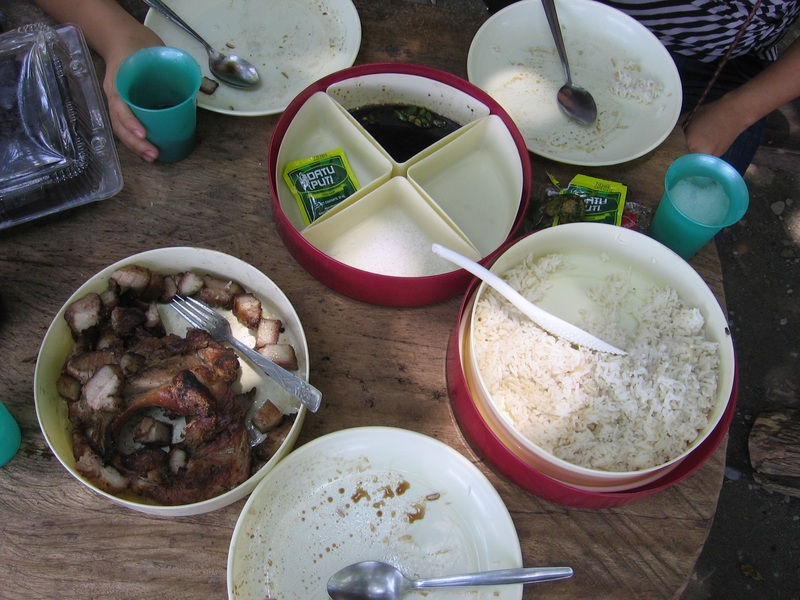 This was our simple lunch: grilled pork belly dipped in vinegar and soy sauce, rice, brownies and coke. Burp! 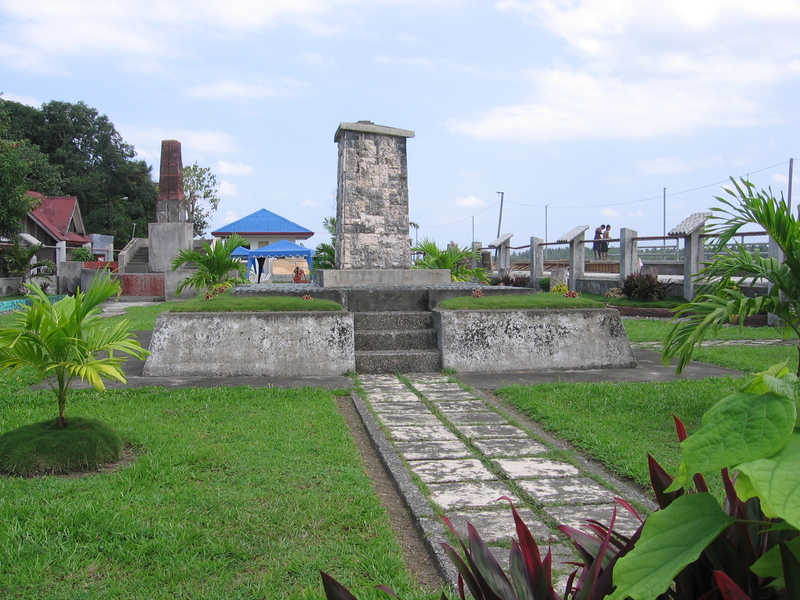 We hang out a bit and we went off to see the Magellan marker then ride the boat home. 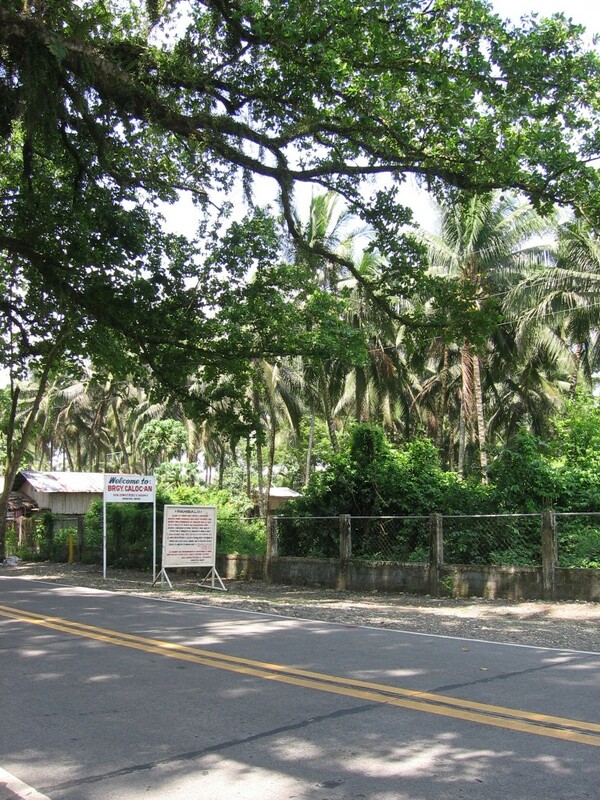 When we reach the area, the site was closed so I took this picture behind the locked gates. We walked to the port area. This time it is easier for me to walk through the plank. There was an improvised railing which I held onto to be able to walk the plank. See the novel way to add railing to the plank. That was one cool trip. 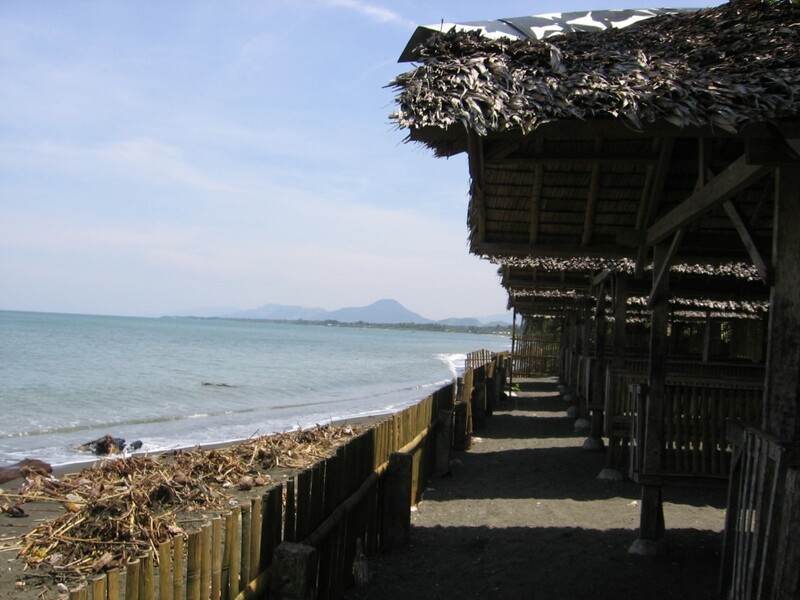 We arrived Butuan before 3pm. We will do this kind of trip again in the future. 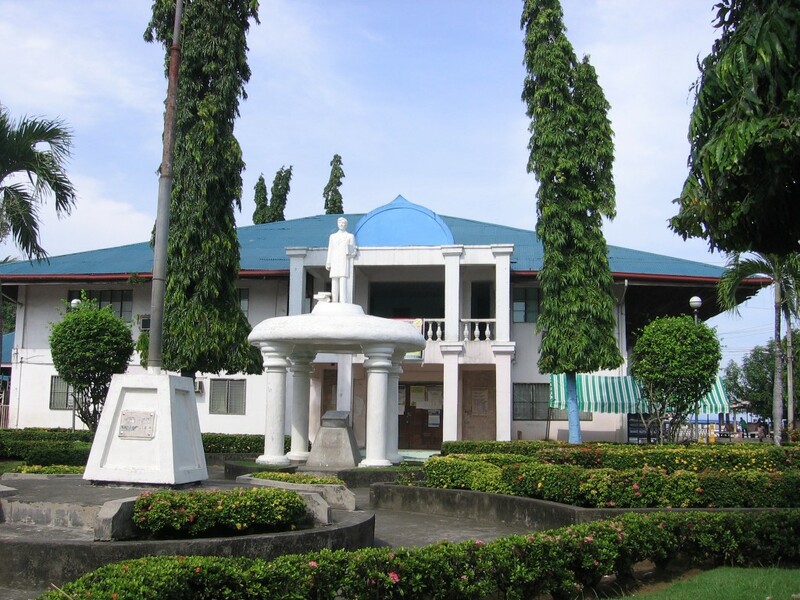 Magallanes fiesta will be on the 3rd Saturday of October and the town will celebrating their centennial this year.